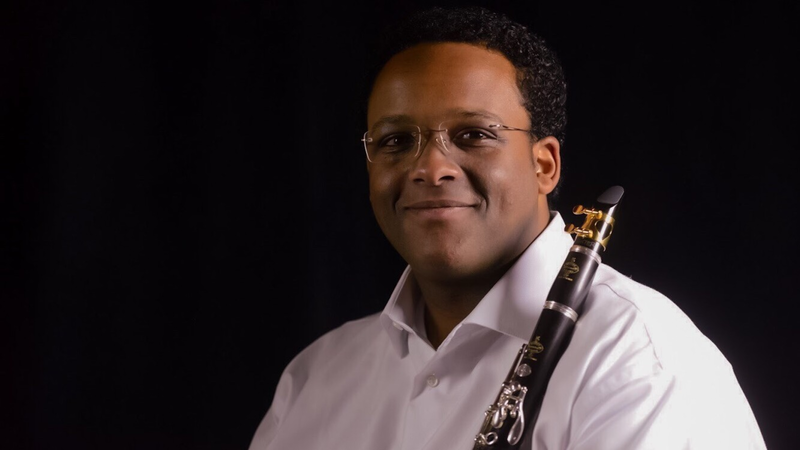 The Cleveland Orchestra officially announced this morning that Afendi Yusuf will be their new Principal Clarinet, confirming multiple leaked reports from last month. His tenure will begin this September when the orchestra begins its 2017-18 season. Mr. Yusuf, a native of Addis Ababa, Ethiopia, has spent much of his pre-professional career in Canada, but he is best known to local audiences for his performances as a guest player with the Los Angeles Philharmonic and his association with the Colburn School where most recently he completed his Professional Studies Certificate, studying with legendary pedagogue Yehuda Gilad. As such, he is the latest in a long line of Mr. Gilad’s students who’ve obtained positions in the most prominent orchestras across North America and Europe. The last person to officially hold Cleveland’s Principal Clarinet title, Franklin Cohen, retired in 2015 after 39-years in the position. More recently, another musician with local ties — Benjamin Lulich, former Principal Clarinet of the Pacific Symphony — served as Acting Principal for the 2015-16 season but was not given the full-time job; he is currently Principal Clarinet of the Seattle Symphony. 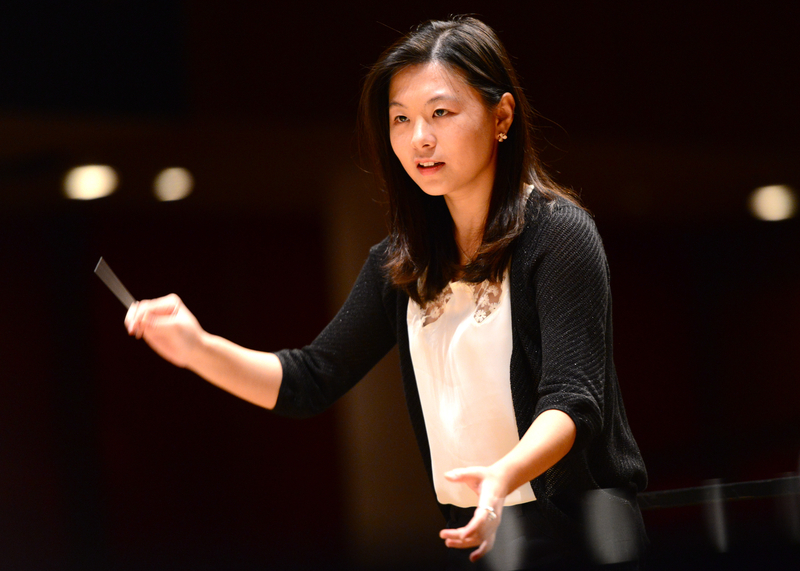 In addition, Jenny Wong, Assistant Conductor of the Los Angeles Master Chorale since last year, has been promoted to Associate Conductor. The Hong Kong native and USC Thornton School of Music graduate was last seen confidently leading the Master Chorale in the world premiere of Moira Smiley’s Time in Our Voices. She will conduct the LAMC’s upcoming performance of Bach’s Six Motets on December 10. The full press release of her announcement can be found HERE. CLEVELAND – The Cleveland Orchestra and Music Director Franz Welser-Möst have announced that Afendi Yusuf will join the Orchestra as principal clarinet beginning with the start of the coming Severance Hall season in September 2017. The upcoming 2017-18 season is the Orchestra’s 100th year of concerts and marks the beginning of the ensemble’s Second Century. The opening week of the concerts (September 23, 24 and 26, 2017) features encore performances of the Orchestra’s innovative and critically acclaimed opera production of Janáček’s The Cunning Little Vixen, first presented in 2014. Mr. Yusuf will sit in The Cleveland Orchestra’s Robert Marcellus Principal Clarinet Endowed Chair. He fills the vacancy created by the retirement of Principal Clarinet Franklin Cohen, who served in the position for 39 years, the longest-serving principal clarinetist in the history of The Cleveland Orchestra. Mr. Cohen now holds the honorary title of Principal Emeritus. Born in Addis Ababa, Ethiopia, clarinetist Afendi Yusuf has appeared as guest principal with a number of North American ensembles, including the Orpheus Chamber Orchestra, Canadian Opera Company, and the Toronto and Cincinnati symphony orchestras. As a guest musician, he has performed with the Los Angeles Philharmonic, Minnesota Orchestra, and the Vancouver Symphony Orchestra, under the batons of Gustavo Dudamel, Edo de Waart, Gianandrea Noseda, and Esa-Pekka Salonen, and Yehuda Gilad. A winner of many concerto competitions, Mr. Yusuf has made solo appearances with the Colburn Orchestra, the Royal Conservatory Orchestra, and the Guelph Symphony Orchestra, among others. He has collaborated with Charles Neidich, Ronald Leonard, Martin Beaver, and with renowned composers Georg Friedrich Haas, John Adams, and Anders Hillborg. He is an alumnus of the Aspen Music Festival and School, Brott Music Festival, the National Youth Orchestra of Canada, and the National Arts Centre’s Young Artists Program. Since the summer of 2016, he has been a participant of the Marlboro Music Festival. Mr. Yusuf holds a Bachelor of Arts degree from Wilfrid Laurier University in Waterloo, Ontario, as a student of Ross Edwards, and an Artist Diploma from the Glenn Gould School in Toronto, Ontario, as a student of Joaquin Valdepeñas. He also holds a Master of Music degree and Professional Studies Certificate from the Colburn School’s Conservatory of Music in Los Angeles, California, where he was a student of Yehuda Gilad. Tags: Afendi Yusuf, Cleveland Orchestra, Jenny Wong, Yehuda Gilad. Bookmark the permalink.